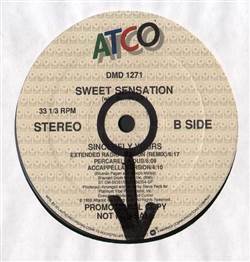 Sweet Sensation - Sincerely Yours 12"
FREESTYLE, ATCO, USA, 1988... Sincerely Yours (Extended Club Version Remix), Sincerely Yours (Charlie Dee Basement Beat Version), Sincerely Yours (Extended Radio Version Remix), Sincerely Yours (Percarella Dub), Sincerely Yours (Accappella Version). Sandee - You're The One 12" Laura Enea - This Is The Last Time 12" Expose - Exposed To Love 12" Raiana Paige - Rescue Me 12"
Concept Of One - Dance With Me 12" Rios - You 12" G.T. - I Need You 12" Jose Cheena - Fly Tetas 12"